Shop | All Around Dogs Shop | Thoughts on training and life with dogs. I’ve signed up as an affiliate with several vendors that I use and enjoy. * Below is a small list of items that I recommend from each vendor. It is far from inclusive – I own or drool over a large number of other products. These are my “go-to” books on dogs, dog behavior, and the human-dog relationship. All paperbacks regularly priced between $15-$30. Check the link for the most up-to-date pricing. Bones Would Rain from the Sky – Deepening Our Relationship with Dogs by Suzanne Clothier – A lot of heartfelt introspection mixed with a dash of science. 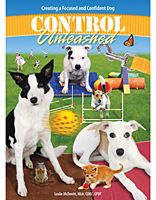 The Other End of the Leash – Why We Do What We Do Around Dogs by Patricia McConnell – Offering science mixed with heart, McConnell gives you PhD knowledge without boring you to tears. For the Love of a Dog – Understanding Emotion in You and Your Best Friend by Patricia McConnell – While her first book focused on behavior, this one focuses on the emotion that drives that behavior. Don’t Shoot the Dog – The New Art of Teaching and Training by Karen Pryor – This is a very dry book but gives a very thorough explanation of operant conditioning which helped me understand types of “reward” and “punishment” in training. While Control Unleashed wasn’t the final cure for Dash, we were able to make some good steps in the right direction with this guide. Written by an Olympic rifle shooter, With Winning in Mind may not seem like it is dog-training related, but it applies to any competition. Heck, it’s just good for your mental health. The Tug It was awesome for my first girl, Xena, who wasn’t that into tugging. Stuff some squishy cheese or meat in the mesh pocket and watch them go nuts! I trimmed the pocket to half length because it was getting messy to flip inside out and clean. I was actually sort of relieved to see the Kong Safestix in the “tugging toy” section. I thought it was probably meant as a retrieving toy, but for Delta, it is her “whooping stick”. Aaron teases her and smacks her sides with it, while she goes crazy to catch and tug it. HylaSport by PupSup is an excellent joint supplement containing glucosamine, MSM, chondrotin, and hyaluronic acid. It is one of several high quality supplements I rotate between. 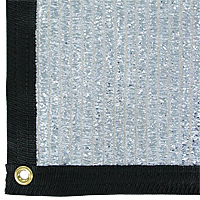 On my list of things to get (and watch for sales) is the Cool Puppy Aluminet Shade Cloth. Last summer I used a big solar tarp which was effective but a serious pain in the rear to fold up and store. Friends with this product tell me it is simple, light, and effective.